Each year, the EAC works with the community leaders and other businesses in the area to host the annual Arbor Day Celebration. From live music to free trees and bushes, the Arbor Day Celebration is a highlight of spring and shouldn’t be missed. The EAC researched environmentally-friendly weed control options, and with the assistance of a consultant, developed the City's parkway tree planting policy. Residents interested in learning what trees can be planted in the parkway can review the City's Arboricultural and Open Space Manual by visiting the Forms & Documents page. The City accepts dry-cell type batteries for recycling under the EAC's Battery Recycling Program. Located at City Hall, drop-off boxes are available (while supplies last) to dispose of batteries in an environmentally friendly manner. The purpose behind this program to prevent harmful chemicals contained in batteries from polluting the areas around landfill sites and garbage dumps. When batteries age, the protective outer casing deteriorates and allows chemicals to leak out. These chemicals, such as zinc, mercury, nickel, and lithium then leech into waterways near the site or even sink into the ground and pollute underground aquifers. This is especially important to citizens of Warrenville as Warrenville drinking water comes from a major underground aquifer. By keeping these batteries out of landfills, it prevents the exposure of natural areas to these chemicals. Dry-Cell type batteries include Alkaline, Carbon Zinc, Lead Acid Gel, Lithium, Lithium-ion, Mercury, Nickel-cadmium, Nickel Metal Hydride, Silver Oxide and Zinc Air batteries. Most batteries are marked on their outer casing, however residents who are unsure of the type of battery they have, should err on the side of caution and take them to the Household Hazardous Waste (HHW) facility at Naperville Public Works Service Center at 156 Fort Hill Drive in Naperville. The facility is open on Saturdays and Sundays from 9 a.m. to 2 p.m. (630) 420-6095. IMPORTANT NOTE: The City will only accept undamaged and un-leaking batteries. For safety reasons, the terminals in all batteries (except AA, AAA, C, D, and 9V) MUST be taped off to prevent them from shorting out while in the box or in transit. PROHIBITED BATTERIES: The City cannot accept automotive/motorcycle batteries, low production run and prototype batteries, damaged, defective or recalled batteries. Lithium Metal cells or batteries (non-rechargeable) containing more than 5g per individual cell or 25g per battery pack or lithium. Lithium Ion cells or batteries (rechargeable) with a rated capacity over 60Wh per individual cell or 300 Wh per battery pack. Common consumer batteries such as those used to power laptops, cell phones, tablets and handheld power tools are typically within the maximum numbers listed above. It is only with resident cooperation that the City can keep this program active. The City has a limited number of these recycling kits available and when they have been filled the program will be concluded for the year. Be courteous to other citizens; residents who have a large collection of old batteries, should take them to the HHW facility. If you would like to know what you can do to save energy, save money, and reduce greenhouse gas emissions, take a look at the Climate Action Plan (CAP)! 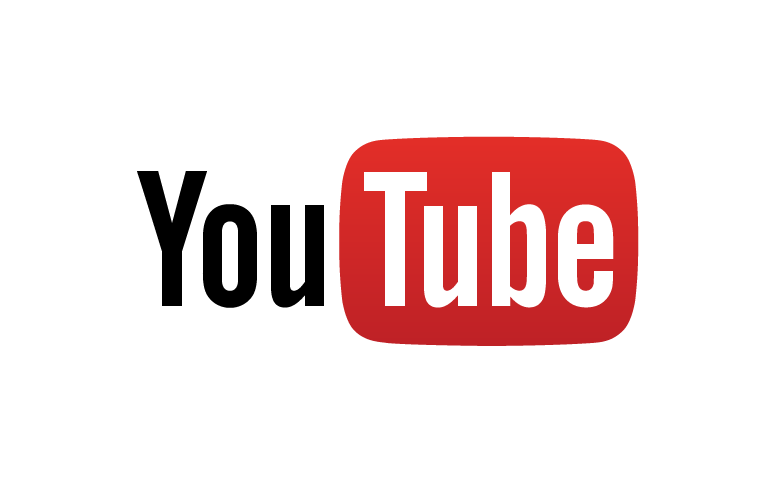 Many possible actions have been reviewed, calculations completed, and the list of potential actions has been reduced to those that would make the most difference. Warrenville's Climate Action Plan (CAP) describes steps that residents, businesses, and other groups can take to reduce global warming pollution to the target levels identified in the U.S. Conference of Mayors Climate Protection Agreement. The agreement was adopted by the Warrenville City Council and signed by Mayor Brummel on January 17, 2012. With his signature, Warrenville joined the Cool Cities Program, an initiative led by volunteers around the country striving for collaboration among community members, organizations, businesses, and local leaders to implement clean energy solutions that save money, create jobs, and help curb global warming. The CAP was adopted by the City Council on February 1, 2016. The next step in the Cool Cities process is to implement the CAP by taking action on the recommendations. The EAC will begin to prioritize and implement the CAP recommendations in an effort to reduce greenhouse gas emissions, decrease dependence on fossil fuels, promote the development of clean energy solutions, and reduce waste within our local environment. If you would like to volunteer and assist with this effort, attend an EAC meeting! Find out how much energy those household appliances really use! The EAC has supplied the Warrenville Public Library with Kill-O-Watt meters available for loan for a two-week period. Residents can track their energy usage at home. By using the meter, residents can find out what appliances are actually worth keeping plugged in. Simply connect these appliances to the meter and it will assess how efficient they really are. The display will count consumption by the Kilowatt-hour, same as ComEd. Residents can then calculate electrical expenses by the day, week, month, even an entire year. They can also check the quality of power by monitoring Voltage, Line Frequency, and Power Factor. Twice a year, the EAC issues The Resource newsletter as an insert with the Hometown Happenings. This newsletter provides citizens with information on what the EAC is up to as well as tips on how to be more environmental. Current issues of The Resource can be found below. The EAC has conducted research to identify those buildings whose owners have made the extra effort to reduce carbon emissions by becoming Energy Star or LEED Certified. Like appliances and products, commercial buildings and industrial plants can earn the Environmental Protection Agency's (EPA) ENERGY STAR, too. LEED stands for green building leadership. LEED is transforming the way buildings and communities are designed, constructed, maintained, and operated. LEED certified buildings save money and resources and have a positive impact on the health of occupants, while promoting renewable, clean energy. ENERGY STAR certified buildings and plants meet strict energy performance standards set by EPA. They use less energy, are less expensive to operate, and cause fewer greenhouse gas emissions than their peers. Starting with the first ENERGY STAR certified building in 1999, tens of thousands of buildings and plants across America have earned EPA’s ENERGY STAR for superior energy performance. Currently, more than 30 types of facilities can earn the ENERGY STAR. Commercial buildings start by entering their utility bill data and building information into the EPA's online tool for measuring and tracking energy use, water use, and greenhouse gas emissions. Industrial plants enter plant operating data into another tools. Both tools calculate a 1 – 100 ENERGY STAR score. Facilities that score a 75 or higher are eligible to apply for ENERGY STAR certification. Before facilities can earn the ENERGY STAR, a professional engineer or registered architect must verify that the information contained within the certification application is accurate (Source: www.energystar.gov ENERGY STAR Certification). By the end of 2012, with help from ENERGY STAR, families and businesses saved more than $230 billion on utility bills and prevented more than 1.8 billion metric tons of greenhouse gas emissions (www.energystar.gov About ENERGY STAR for Commercial and Industrial Buildings). It is for this reason that the EAC is proud to recognize the Warrenville buildings listed at the link below that have earned the ENERGY STAR label. LEED-certified buildings cost less to operate, reducing energy and water bills by as much as 40%. Businesses and organizations use LEED to increase the efficiency of their buildings, freeing up valuable resources for other business purposes and goals. LEED buildings have faster lease-up rates and may qualify for a host of incentives like tax rebates and zoning allowances. They also retain higher property values (Source: www.usgbc.org LEED). It is for this reason that the EAC is proud to recognize the following Warrenville buildings at the link below that have earned the LEED certification. 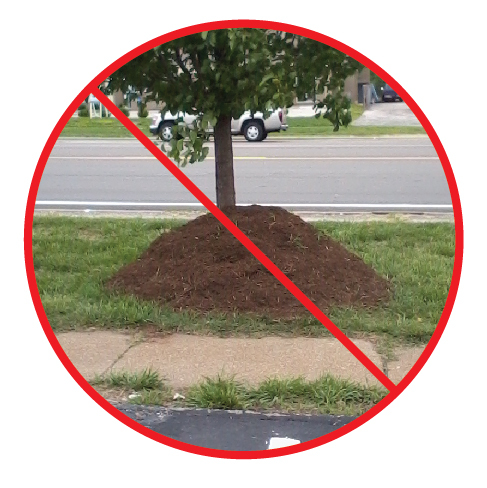 Say No to Volcano Mulching! The term “Volcano Mulching” refers to a practice of piling mulch against the trunk of a tree, thereby creating a volcano shape at the base of the tree. While mulching can be one of the most beneficial things that you can do to keep your trees healthy, if done improperly, it can lead to disease, infestation and even to the death of a tree. Just a few simple practices will help keep our home landscapes beautiful, and also benefit the health of our community trees. Visit The Morton Arboretum website for more information on mulching. • Spread mulch out away from the base of the tree to expose the base of the root flare. • Apply mulch to a depth of four inches away from the trunk to a radius of up to four feet. • Check mulch levels each year. Trees often do not need more mulch every year. • Ask your landscaper to not place more than 4 inches of mulch; and to not leave mulch against the tree bark. Do you want an attractive and functional yard that conserves water and provides habitat for birds, butterflies and other beneficial wildlife? By making some earth-conscious choices in your home landscape you can achieve that goal. Replace some turf grass with beautiful and drought-resistant native plants, maybe install a rain barrel and reduce or eliminate your chemical use. Visit The Conservation Foundation website for more information.